If you drive along the beltway around Washington you will see it, as I did recently, and it is best seen at night, illuminated from within and without, a solemn, monolithic shape with needle-like spires pointing brightly heavenward into the darkness, Puritanical in its silver and blue lines, a pure expression of millennial idealism, anomalous amid the busy sprawl of suburbs yet quintessentially American: the Mormon Temple. As a controversial subject the Mormons no longer rank high among tabloid writers, the issue of polygamy having died at the turn of the century, yet the Saints retain the uncanny knack of calling attention to themselves. Such a house of worship, dominating the skyline yet closed to unbelievers, is not calculated to promote a low profile, and the Mormon paradox had a quieter but still powerful manifestation in the news that Howard Hughes in his mad old age was protected from the world and reason by a phalanx of Mormons. Christian Scientists might serve Richard M. Nixon, but Hughes could only be surrounded by Mormons, the godlike avatar of money as power preserved in his delusions by the Latter Day Saints, the most powerful manifestation still among us of the Protestant Ethic. The Mormons remain a “peculiar” people, yet they are like their temple a mightily American people, indeed are the strongest institutional link we have with our Puritan past. Bernard DeVoto long ago mused on the Americanness of Mormonism, with its successful mixture of messianic and worldly goals, a millennarianism hammered into hard utilitarian steel by a wilderness passage that took its meaning both from Exodus and the westering movement. Because of the importance of that migration from Illinois to Utah, it is Brigham Young who tends to dominate the popular consciousness as the incarnate symbol of Mormonism. A resourceful Vermont Yankee with a paramilitary genius, Brigham Young is a type appealing to most Americans, who if they disagree with a man’s religion stand ready to applaud his secular achievements. But Joseph Smith, the Mormon prophet and martyr, has not generally received justice from biographers, no more than he received justice from the hands of outraged frontiersmen. Even his fellow Mormons, as if to counteract the popular image, have made him over into a super Saint, the kind of hagiographic revisionism we have come to associate with political portraiture in the Communist world, and about as interesting to a nonbeliever. 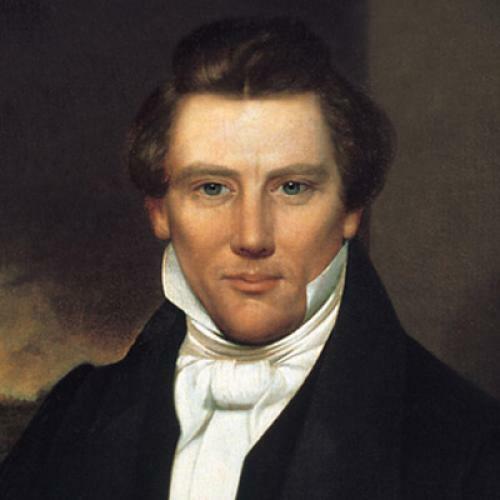 A complex, intriguing figure, whose personal attractiveness and intelligence were attested to during his lifetime even by those who regarded him as a charlatan, Joseph Smith deserves better than even the Mormons have given him. Perhaps the most readable biography available is Fawn Brodie’s No Man Knows My Name, but Brodie, though sympathetic to the heroic, personable qualities of the man, wrote too much in the debunking vein to be absolutely convincing. Moreover, her book is now dated, not having benefitted from access to the wealth of documentary material which the Church of the Latter-Day Saints has recently unlocked to scholars. Yet it must also be said that fairmindedness and documentation are not enough. We actually get closer to Joe Smith the man in Fawn Brodie’s book, for Brodie is a gifted writer and Hill is not, and though her narrative has plenty of information it lacks movement and passion, with the result that the Prophet never comes to life. Still, her book is of immense value as record—the bibliography runs to almost 20 pages—and in gathering the testimony of the people around Joseph Smith Hill does much toward what will someday surely be done, and that is to tell the story of the Mormons en masse, a unique chronicle of a nation within a nation, whose experience should prove as destructive of national complacency as was Vietnam, Watergate, or Alex Haley’s Roots. That Joe Smith was a charismatic figure, whose personal qualities were responsible for the rise of Mormonism as an international movement, there can be no doubt. That Smith had personal failings which, as in a tragic hero, resulted directly in his death, is Hill’s own stated thesis. But, as she also shows us, of equal importance is the fact that his success in raising a militant nation of the faithful was matched by his fated propensity for antagonizing Americans of other persuasions, and reciprocal to that fact is the bigotry and greed which repeatedly aroused mobs against him and his people until he was killed and they were driven beyond the frontier to a land so wasted that they (like the Indians with whom they identified their millennium) could rest undisturbed in its tenancy for several generations. If we as Americans recognize our best qualities in Brigham Young’s saga, then we should also own to our complicity in the tragedy of Joe Smith that preceded it, indeed that made it necessary. Inseparable as the parts of their union, together they form a distinctive American whole, a national experience as typical as the Mosaic exodus or the long march of Chairman Mao. It is a story intrinsic to the American past, being a belated flowering of the old Puritan hope of founding a City on a Hill, a plan that was repeatedly projected west until it sprang up on the shores of not the Atlantic (nor the Pacific) but on the banks of a very dead inland sea, the Great Salt Lake. It was a dream and a heroic action that required not only bravery and endurance and faith, but a quantity that we have long since run out of, namely space. There is no longer a Far West, whether the raw frontier town on the Mississippi River that was one of the earliest Mormon sites for their New Jerusalem, or the great vastness into which Brigham Young led his prayerful legions. Theirs is an epic spelled out by the name of places with which Joe Smith was associated, the Lebanons and Canaans and Palmyras that made an imitation Holy Land of New England and its western adjunct the Mohawk Valley, the Harmonies that promised utopia farther west along the line, towns like Independence and Liberty that celebrated (while withholding) the spirit of the republic, or frontier communities called De Witt, Galatin, and Fulton, names associating millennial progress with technical advance, and ending with the hopeful village of Commerce that became Joe Smith’s thriving Nauvoo (Hebrew, he said, for “beautiful”) before marauding ruffians tore it down. The names still remain on the land, and other records remain also, containing the consolations, such as they are, of history. That Mormonism continues to generate ironies intrinsic to the American experience has been demonstrated by the recent enthusiasm for uncovering family origins that was aroused by Roots, a fad which brought to public attention the great genealogical archive assembled by the Saints in underground vaults in a Utah mountain. Gathered in order to affect the posthumous baptism of ancestors born outside the church, the records have proven of immense value to researchers into family history, and they are a massive demonstration of the centrality to Mormonism of the family itself—a fact which Hill convincingly relates to the practice of polygamy. Moreover, as testimony to the tenacity of the human spirit, which when moved to exercise a truth can even roll back the evidence of the past, erasing history with baptismal waters, those records bear powerful witness. Whatever fate awaits mankind, whether extinction by starvation or nuclear warfare, the records will survive, a saintly host of begats in a Genesis whose Exodus is the pride of the Mormons and a national shame. Yet those blacks who make use of the records will not find much in the Mormon mountain they can use. Though baptised into the church in its earliest days, as Hill reveals, blacks were expressly barred by Joseph Smith’s successor, Brigham Young, exclusion which was as much related to the abolitionist controversy as to biblical sanctions against the tribe of Ham. The Mormons, as Young saw it, had enough troubles without taking sides in an impossible conflict. As epic, therefore, the story of the black people in America must remain only analogous to the Mormon experience, and whenever Moroni blows his horn, he will not blow it for them. This article appeared in the May 7, 1977 issue of the magazine.